As far as the applications are concerned, modern snowshoes can be categorized into three types, which are recreational, backcountry, and running snowshoes. 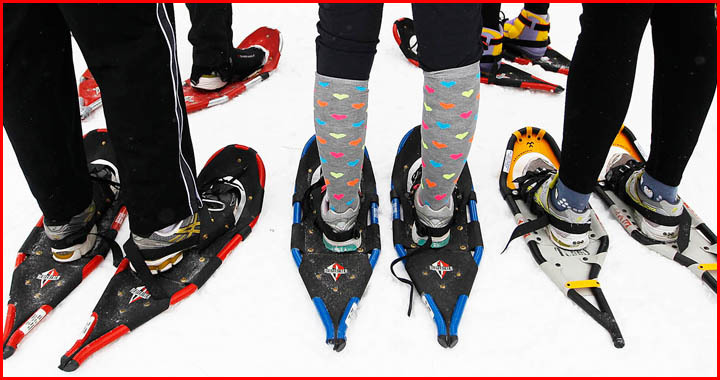 Learning about them may help you decide which snowshoe that would likely perform the best for you. If you’d like a shortcut, we have compiled 10 best snowshoes of 2016/2017. As the name suggest, this type of snowshoes are best used for recreational purpose. If you just want to walk around a groomed trail in your area, this snowshoe is for you. In terms of features, they have everything what any modern snowshoes have like composite decks, crampons, aluminum frames, etc. However, they’re commonly made of second-grade material, which is what makes them more affordable. These are like aluminum crampons, instead of steel, cheap plastic decking, poor finish on the frames, and whatnot. That being said, they still offer adequate performance for beginner snowshoers. You should be able to cover any flat to moderately rolling terrain without too much problem, assuming you pick out the right size. 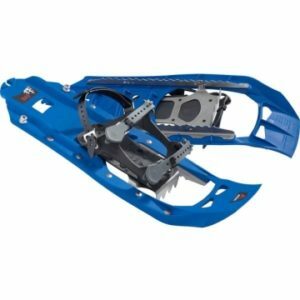 Some of the best recreational snowshoes are MSR Evo, Atlas 10 Series snowshoes, and Tubbs Xplore. They cost around $100-$150. That’s pretty cheap considering they’d last for a couple of seasons. If you opt for renting them, they may cost around $10 for a short day hiking. These are the upgraded version of recreational snowshoes. Each and every single feature of backcountry snowshoes are better. They’re commonly built of premium materials that can stand more abusive application on the backcountry. The crampons are bigger, tougher, and more aggressive. The binding straps are freeze resistant. And the frames are made of better alloy with better finish. Obviously, they’re pricier but if you want to blaze your own trail into the backcountry drifts or tackle some very technical terrain, this snowshoe is for you. 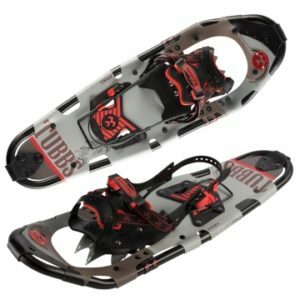 One of the top rated backcountry snowshoes is Tubbs Mountaineer. It’s slightly heavier than common snowshoes and if you choose the large model, you can’t hel but feel a bit awkward on your feet. In exchange, you get a pair of snowshoes with tougher construction and better support. The binding is connected to the frames using full rotating pivot that makes the tail of the snowshoes drag on the snow as you walk. You won’t be able to walk fast but it helps a lot when the going gets steeper. You get to kick in the snowshoes better, allowing the toe crampons to dig deeper into the snow. This one is completely different than the previous two in a way that it’s designed to be as light and minimalist as possible. They are built by keeping optimum maneuverability in mind, enabling you to run on the snowy trail more effectively. Prices vary by much. Some models like Louis Garneau Course 721 snowshoe cost nearly $300 and some others like Dion snowshoes charge around 150 bucks. Note that the more expensive models are not necessarily better. The two snowshoes I mentioned before are used by many snowshoe runners, regardless the huge price margin. If you’re just picking up snowshoe run as your new big thing in winter, it’s best to choose the inexpensive one like Atlas Run snowshoe or Dion snowshoe. They’re in no way a poor performer but the low price tag they offer allows you to get the hang of this exciting sport without investing high dollars. 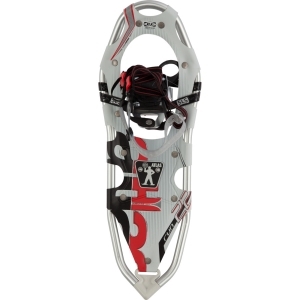 I personally prefer Atlas Run snowshoe as it’s solid and moves well in any snow condition. But if you want a simpler, smaller, and lighter snowshoe, Dion is the way to go.